How to Overcome a Lack of Experience in Interview? With high qualifications and perfect skills, you think you are a perfect fit for a job. But the capability is judged by another very important factor known as “years of experience” in the same job profile. People are getting rejected from the jobs because they don’t have requisite experience. It is very important to interpret the intention of the hiring managers behind the “years of experience” criteria. The hiring managers want to know what you have learnt at the time of doing things mentioned in your resume. If they feel that the candidate has not learnt much out of working because he kept changing jobs, then he might not have relevant experience required for the job. On the other hand, if he feels that the candidate has noticed changes across him and has undergone a full life cycle including attempts which failed and he has learnt out of his failure, the hiring managers rate it positively. The hiring managers are of the thought that the failure is more powerful than success in case where experience is concerned. Now the question comes is-How to overcome the system? Experience may matter. But adaptability matters as well. The i-phones didn’t even exist few years ago. The app developers did not have experience at all. It is always better to find an experience you have and convert it into skills the employer is looking for. In today’s’ world, if you show your skills and the hiring managers think it to be outstanding, then the matter of experience automatically becomes a secondary issue. If you have a little experience, then you can choose another way of keeping the employer engaged. You start gathering information about the organization and investigate the same with the employer. You can ask powerful questions to the employer and turn the conversation to a totally different topic to show that you have done your homework. The questions may include topics like competition in the market, the customer base, former possibilities for growing up, any issues or opportunities etc. Develop killer questions from these topics which will make you outstanding from the crowd of experienced people. Always ask better and well framed questions. Make a list of questions that will set you apart from other candidates. Even if you are an entry level candidate, show your enormous interest in the organization by bringing the best part of yourself in all the conversations-be it informative or interviewing. It is simple that it is not your fault that you have a lack of experience. So, stop apologizing for the fact and start making your skills a centre point of attraction. Make yourself useful with whatever you have done. Outline your role in the events you have participated. If you have started some side business in the past, mention the plan and progress report. Mention the way you handled things. If you underwent an internship, bring out names of the renowned companies you got a chance to associate with. Highlight your achievements in a particular area. Mention your contribution to the team work. Explain the projects you handled and the role you played for them. All these will count for the hiring managers and display the understandability of things you have for whatever work you do. When the issue of experience comes up, be prepared for a reply. Don’t get stressed up at that time. Make such an answer which doesn’t dwell with the past jobs and experiences much. Stress more on your skill set. Show as if you do have experience and link it with things you have done in your college life. Remember the struggle you have gone through in your academics and try to relate them with your job profile. Never lie about your work experience in the field. The whole process is very transparent and even if you get a job along with the lie, it will catch up on you later. The recent pass outs do have the required ingredients the recruiters are looking for. They just need to blend it well and present it well on the resume and in the interview. The life you have led before entering the real world shall give you much of an experience which you can utilize in your job world. After summing up all your gathered experience, you realize that you don’t have much experience in the related field and you are tired of listening that you lack a specific skill, try to brush up on that skill. Take classes to gain the competency in skill. Add those classes in your resume to highlight that you are ambitious and you are working on your skill set. Include the status in your resume as you continue your job search. Another way to overcome lack of job experience is to volunteer your personal skills in a non profit organization. Don’t bother about the monetary effects. The networking perks will amount to be of equal importance. Volunteer in those areas in which you are looking for a job. You will gradually expand your contact list and gain experience as well as learn the trade. Take help from professionals and ask for any opportunities in your field. Utilize those opportunities and include volunteer work in your resume. Highlight these factors at the time of interview. Temporary agencies are still hiring when the company does not want to indulge in permanent workers. Temporary workers give them flexibility to check the demand and supply before appointing on a permanent basis. And who knows when a temporary job leads to full time work. These types of jobs when included in your resume and highlighted in your interview shows your interest in working and not sitting idle. It is a way to express that if you lack experience for a certain field, you are ready to work hard to gain up to that position to get through the job openings. Join the industry’s professional association network. Attend seminars and conferences. Work hard for the association as much as you can and attain the leader post so that you get the chance to meet some of your best professionals which are active in your field. They might be aware of job openings and might be helpful for you in case your resume doesn’t show much of an experience in a respective field. And anyways, it is seen that recommendation works faster than experience. Developing a strong and personal attitude is a difficult task. But when developed, it will differentiate your from the rest. A strong attitude is a trait which is easily transferable between jobs and career. A good reputation is useful for any field. Even if you have the experience, it is nothing without the right attitude. Focus on your knowledge and skills and show high motivation to learn and work in your field. Remember one thing: Highly motivated candidates are very precious to hiring managers. The willingness to learn in a candidate can motivate an employer to take chance on him even if he doesn’t have industry experience. It is an art of specifying that though you come from a different background and a different experience line, you are willing to learn more from the forthcomings. This shows your value addition to a business and your approach to move ahead with the same. Consider the structure of your existing resume. Transfer your skills from one field to another to separate and fill your resume with experiences. Include in your resume-any positive feedback or reward and recognition or excess of set goals. Especially, if the awards are in figures, it captures attention early. Mention the facts which contain why you are the right candidate for the job and what talent of yours shall be applied in the job. You must learn to clearly communicate your Endeavour. Don’t just send out resumes at one go. Try and give time to customize your covering letter giving a personal touch and suitable information to each position you are trying to opt. You need to convince your employer that you are willing to and capable of learning fast and you are genuinely interested in this profile and you will show your best in each type of work assigned to you. Your objective needs to be clear and concise. If in an accounting field, you were also entertaining clients or arranging catered meals for business meeting and seminars and you begin to enjoy such work from your boring number crunching field and you want job shift-it is not easy. You need a resume for your aspiration. 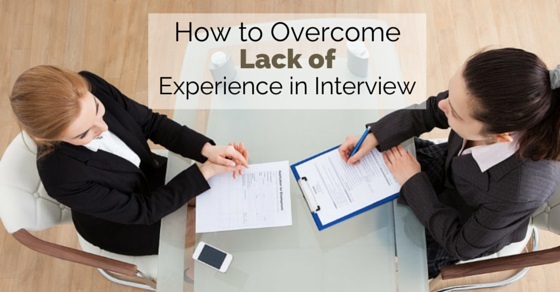 You need to build up experience in your resume. So, you can include volunteering services you had done in your full time services and the feedback you received to support your enthusiasm. Communicating these to your resume will add colour to your conversation in the interview. In your profile on the internet, mention your objectives and goals for publishing your profile online even if the goals are very obvious. Say it directly that you are interested in getting work experience by participating in internships, summer camps. Occasionally, it will itself show results when people will start approaching you. Moreover, it feels impressive when someone check your profile after meeting you in personal. It is obvious that one need to start somewhere and it is very challenging to enter an altogether new field. A viscous circle has been created by the industry: No jobs without experience and the candidates land up into any experience without jobs. The only way out is to present yourself and your competencies and hook the employer’s attention. Be particular to mention points in your resume and covering letter and focus on the presentations and accuracy. These factors will act as a cushion to your no-or little job experience factors.